Wouldn't you know, I was wondering about documentation in Xcode 8, and indeed it has fundamentally changed. The DevPubs team has hugely reduced the size of the docs and apparently integrated them with Xcode so that there is no longer a need for a separate download step. Full, unified offline SDK documentation in Xcode 8? You're welcome! @benpickering *Nearly* one-tenth the size. *Nearly*. Running the Xcode 8 beta, I find I'm able to browse the docs with WiFi turned off. I know I'm looking at the Sierra docs, because NSGridView is there. Furthermore, docsets are no longer listed in the Downloads pane of the prefs panel. It's like magic — kudos to the DevPubs team! I'm guessing this news about the docs was announced during the Platform State of the Union. I missed that session when it was live-streamed, so I'll have to watch it later. I'll see if it confirms my understanding, and I'll think about implications for AppKiDo. The Developer Tools people at Apple have a lot of momentum lately. I can't remember when it felt so much like they were working hard to connect with us, to show that they hear us (the culture around Swift seems incredibly positive), to create cool tools, and to take away pain points. I wonder if squashing the documentation size was important not only for Xcode but for the Swift Playgrounds iPad app and/or future possibilities for using iPads for development. Quick Explanation of the Term "Application Bundle"
Follow-up to my previous post about receipt files. Again, this is Mac-centric. "Application bundle" is Cocoa developer terminology for an application as it exists in the file system of your computer. The application consists of a number of files organized in a directory. The directory has special attributes and has a specific subdirectory structure. WHERE IS THIS DIRECTORY? ALL I SEE IS THE APPLICATION FILE. You only think you see a regular file. 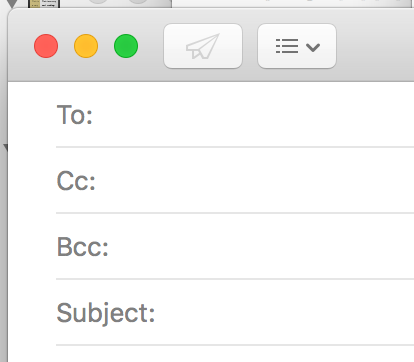 When you see an application icon in the Finder, such as the Safari icon, it looks like any other file icon. However, the Finder is telling at least two and possibly three lies about the application. On the file system, the name of the application is not actually "Safari" (for example) but "Safari.app", with a ".app" extension. You can also see an application's filename in the Finder by selecting the application icon and doing a Get Info. You'll see the ".app" extension. Alternatively, if you go to Preferences > Advanced and turn on "Show all filename extensions", you'll see the .app extensions for all apps. An application is not a regular file, as it appears to be in the Finder, but a directory with special attributes and specific subdirectory structure. Such a directory is called a "bundle". You can also see the directory structure in the Finder by right-clicking the application icon and selecting "Show Package Contents". You will see there is a subdirectory called "Contents", and within that there is a bunch of other stuff. Usually the Finder displays the name of the application as the directory name minus the ".app" extension. Thus, "Safari" instead of "Safari.app", "Contacts" instead of "Contacts.app", etc. However, it is possible for applications to specify a different name to display in the Finder. The main reason for this is to localize the displayed application name. It is very rare to encounter this "lie" if English is your Mac's primary language. Search for the term "CFBundleDisplayName" for the nuts and bolts of how developers get their apps to do this. I was explaining the MAS receipt file to a friend and decided to write a blog post instead of an email, on the principle Scott Hanselman has brilliantly advocated that we should conserve and amplify the limited number of keystrokes we have left in us. I'm purely a Mac developer at the moment, but as far as I know this high-level explanation applies to iOS as well. No idea about watchOS. The receipt is a file on your computer used for DRM of purchases from the App Store. There is a separate receipt for each app. Identifying information about the computer on which the app is installed — specifically, the MAC address of the device's primary network interface. Note that "MAC address", with the "MAC" in all caps, is a networking term. Nothing to do with "Mac" as in "Macintosh". Identifying information about the app that the receipt is for — specifically, the app's bundle ID and version number. Purchase history. Information about the app purchase and any subsequent in-app purchases. WHERE DOES THE RECEIPT LIVE? WHO IS RESPONSIBLE FOR DRM? The system is responsible for creating the receipt. By "system" I mean the OS in conjunction with the App Store. The system code-signs the receipt to prevent tampering. It's the job of Apple's developers to have gotten this right. The application is responsible for validating the receipt. It's the job of the app developers to get this right. WHEN DOES THE RECEIPT GET WRITTEN? If a newer version of the app becomes available on the App Store, the receipt is updated when you upgrade to the newer version. If the app supports in-app purchases, the receipt is updated whenever you do an in-app purchase. When you "Restore Purchases", the receipt is updated. Here's what I mean by "Restore Purchases". Certain types of in-app purchases apply to all computers on which you have installed the app, not just the computer on which you made the purchase. A typical example would be an IAP that unlocks premium features. If you made such a purchase on a different computer, you may need to explicitly "restore" that purchase on the computer you are using. Apple's App Store rules require the app to provide a way for you to do this. Usually the app provides a button or menu item with a name like "Restore Purchases". HOW DOES THE APPLICATION USE THE RECEIPT? It validates the file contents to confirm the receipt hasn't been tampered with. It checks in-app purchases to see what enhanced functionality the user has purchased. In-app purchases may include permanent "unlocking" of features, or they may be subscription-based, in which case the app should check the expiration dates of the subscriptions. You may wonder why Apple hasn’t provided a simple API to validate the receipt. For the sake of demonstration, imagine that such a method exists (for example, [[NSBundle mainBundle] validateReceipt]). An attacker would simply look for this selector inside the binary and patch the code to skip the call. Since every developer would use the same validation method, hacking would be too easy. Instead, Apple made the choice to use standard cryptography and encoding techniques, and to provide some help — in the form of documentation and WWDC sessions — for implementing your own receipt validation code. However, this is not an easy process, and it requires a good understanding of cryptography and of a variety of secure coding techniques. Of course, there are several off-the-shelf implementations available (for example, on GitHub), but they are often just reference implementations and suffer from the same problem outlined above if everybody uses them: it becomes very easy for attackers to crack the validation code. So it’s important to develop a solution that is unique and secure enough to resist common attacks. "Receipt Validation" on objc.io. This article's so good I'm linking to it again. RVNReceiptValidation. This is an example of fully functional receipt validation code. You should not use it verbatim but should instead modify and obfuscate.